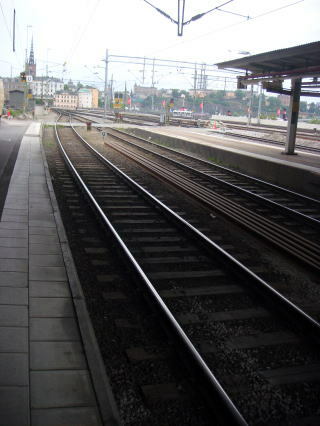 the railway network in the country. 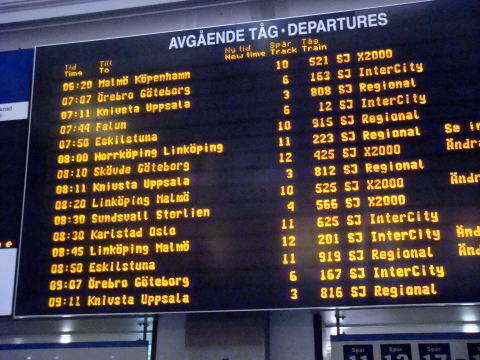 (L) Departure board of Stockholm Central Station. 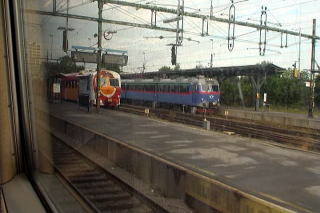 (L) The train X2000 now approaching to the platform of Stockholm Central Station. 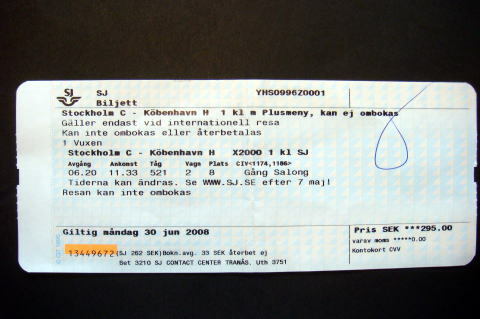 (L) Ticket of X2000, departing Stockholm, Sweden, arriving Copenhagen,Denmark. 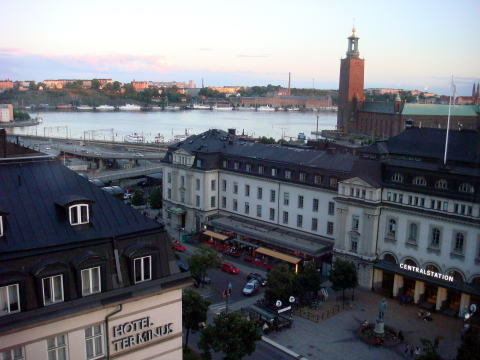 (R) Stockholm Central Station. 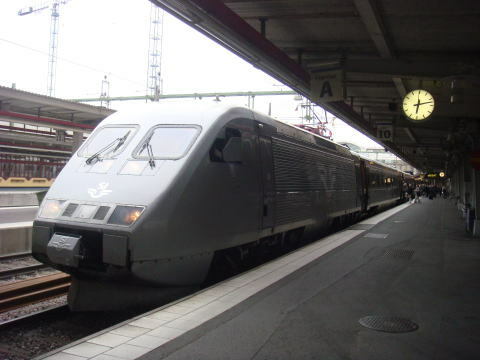 Stockholm Central Station and X2000 power car. 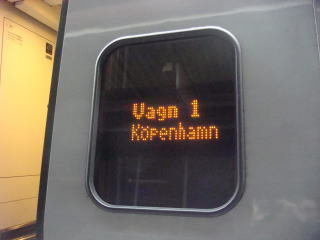 (L) The train 1, X2000 for Copenhagen ,Denmark. 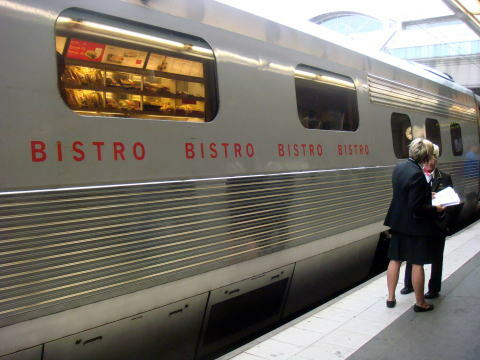 (R) Bar car called 'Bistro', that serves snack bar style dishes. 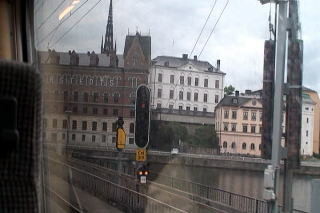 (L) X2000 leaving Stockholm Central Station. 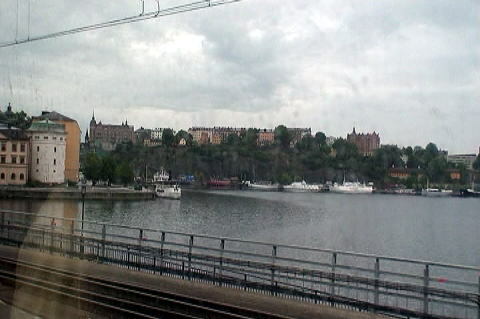 (M)(R) X2000 leaving Stockholm, surrounded by inlet water. 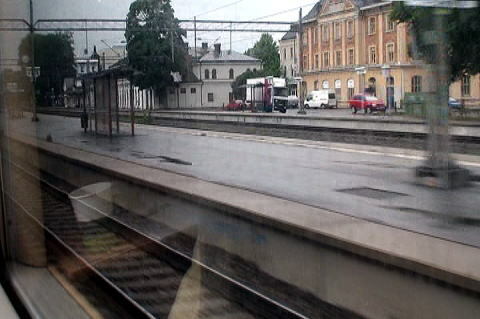 (L) X2000 began to speed up as the train leaving the city area of Stockholm. 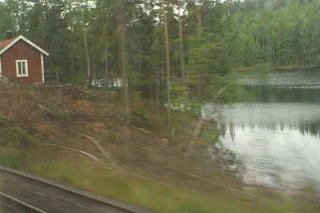 (R) We can recognize that 'Sweden is the country of woods and lakes'. 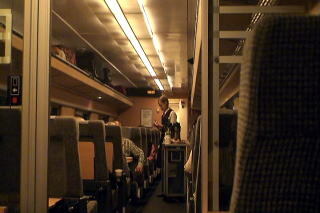 A genial-looking train crew checks a ticket before serving a breakfast. 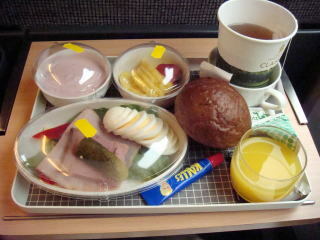 A passenger may select either coffee or tea. 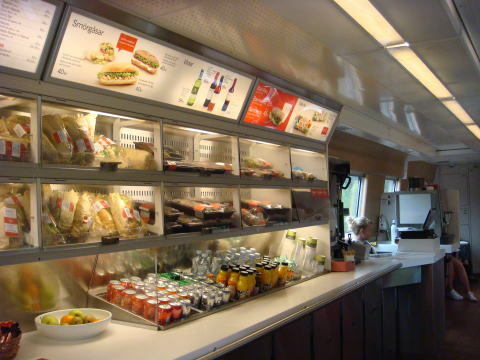 The display stand of the snack car (Bistro). (L) After the snack room was crowded for about 2 hours, it became quite without customers. 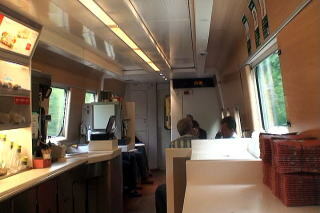 (R) The first-class train has an electric plug and a free wireless internet service. 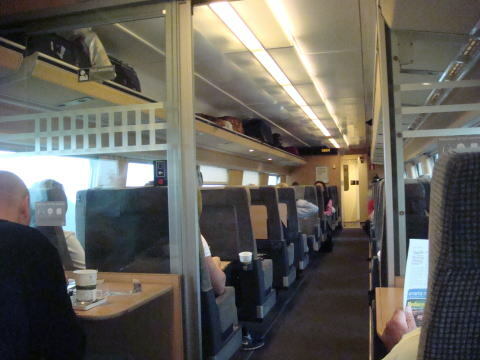 (L) The second-class seat is a comfortable, but several window-side seat has no view blocked by the train wall. Toll wireless internet service is available. 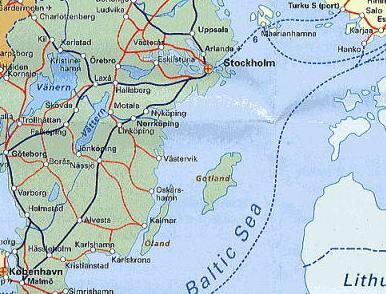 (R) Railroad map from Stockholm to Copenhagen. 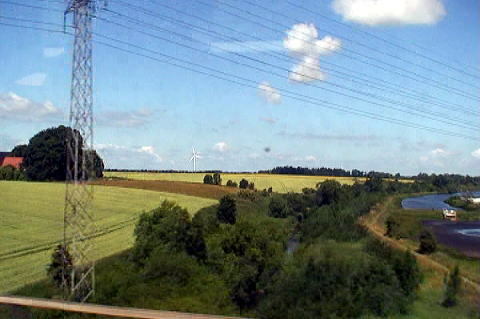 We can often see wind generators through a train window. 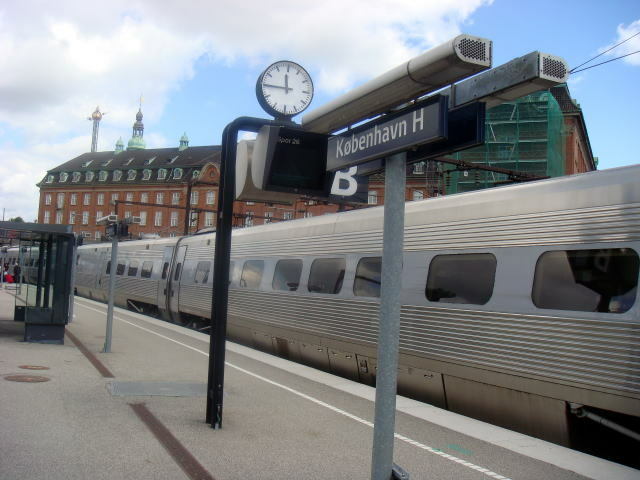 .This is not only in Sweden, but also in Denmark. 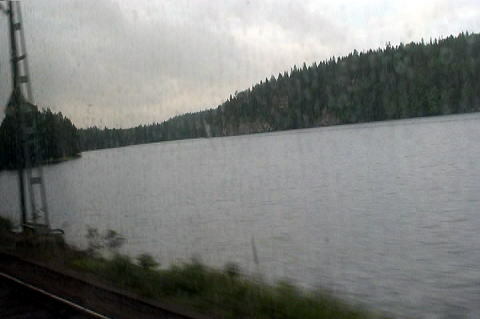 Many lakes viewed from the train window of the express train. 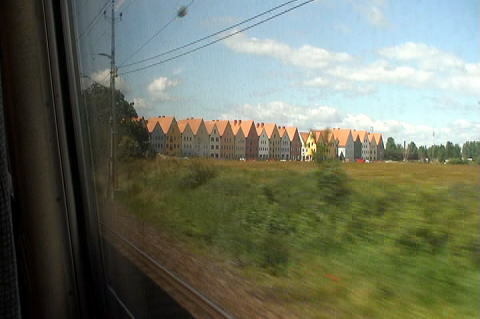 Housing complex or individual houses seen from the window of X2000. 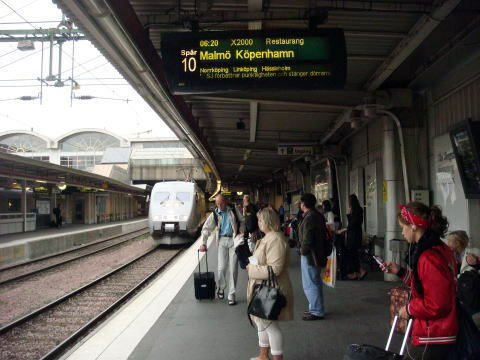 Various stations seen between Stockholm and Malmo Stations. 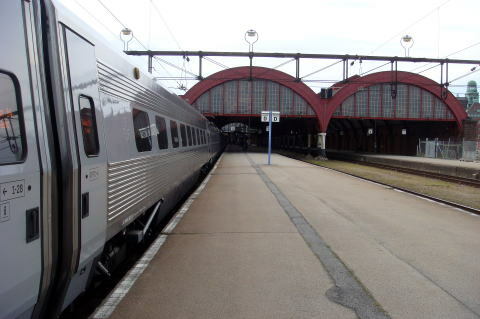 Malmo station yard and the X2000 at the platform of Malmo station. 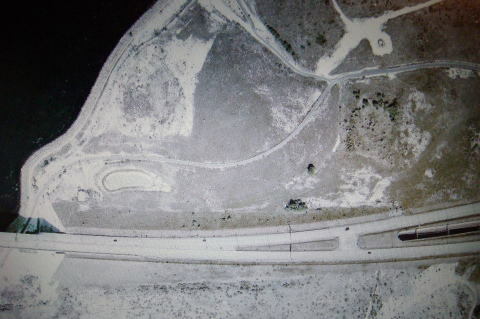 goes upwards. 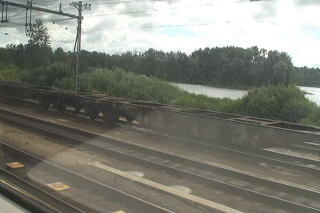 On the other hand, a train going to Copenhagen runs downward. 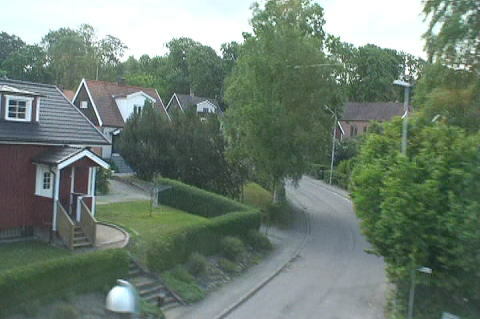 (R) Sweden's side of Oresund Bridge approach. 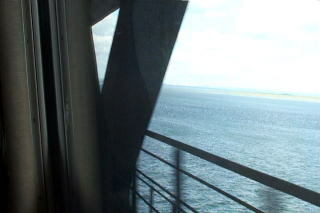 Left above:Oresund Strait. 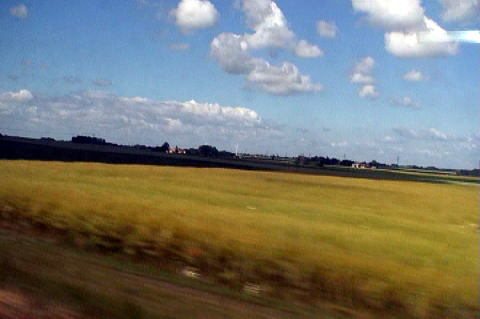 Highway is European route E20. 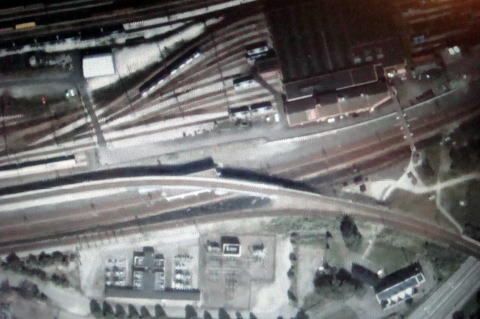 Black line in the right corner: Railway across the bridge connects Malmo with Copenhagen. 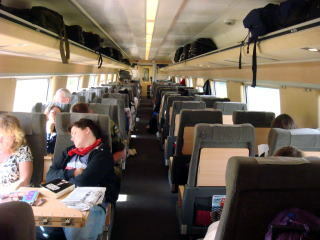 X2000 crossing Oresund Bridge. 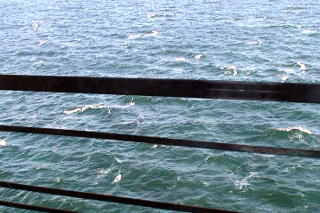 We can see a big wave of Oresund Strait. 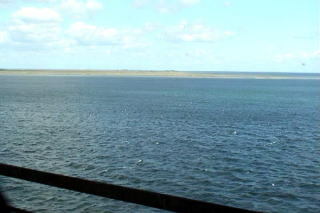 (L) After 10dayswe crossed the bridge by X2000, enjoyed a spectacular view from E20 Highway using a rent-a-car. 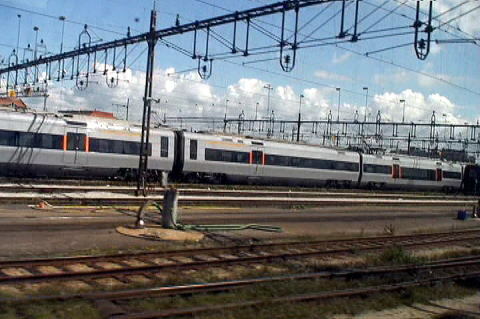 (R) Soon after the X2000 train passed through the Drogden Tunnel, it arrived at Copenhagen Airport Station. 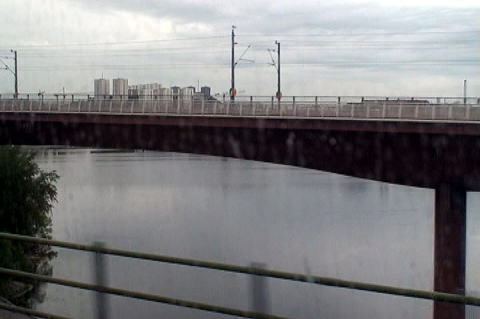 (Photograph was taken from the train of X2000). 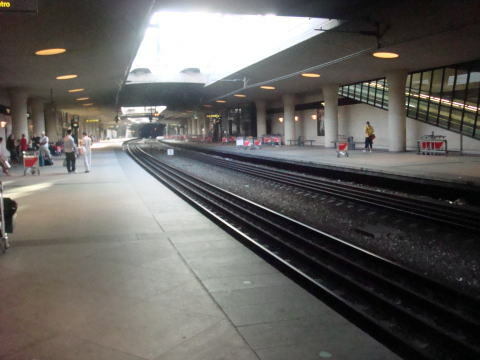 (L) Copenhagen Airport Station. 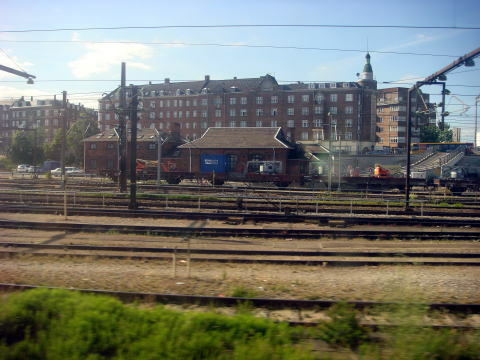 (R) When we see brick-colored houses, it takes only a few minutes to Copenhagen Central Station. 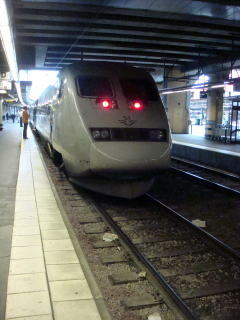 The X2000 train finally arrived at the Copenhagen Central Station.